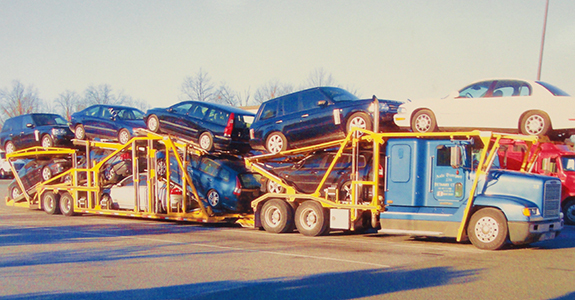 Since 1978, our family owned business has been shipping cars from the Northeast to Florida and back, ensuring the safe, secure and convenient transport of automobiles for private customers and business clients alike. Having your car safely delivered to the right location, at the right time, in pristine condition is our business. When you need a vehicle transported across multiple states, it’s a major inconvenience to get behind the wheel and drive there yourself! Instead of trekking miles on the highway, traversing numerous state lines and having to find your way home from your vehicle’s final destination, instead, let KAT Logistics LLC help. We’re the premier experts when it comes to automotive transport and delivery, and we guarantee your vehicle’s safe transport to it’s desctination! We’ve been in the business for decades and understand exactly what it takes to make sure your vehicle is transported securely and arrives safely. We’ve been a family-owned and –operated shipping company since 1978. We hold an A-plus rating with the Better Business Bureau. Our business is fully licensed and insured, giving you complete peace of mind. Our rates are extremely competitive and there are no hidden costs involved. Proudly offering Automotive Transportation in Connecticut to Florida! If you need your vehicle shipped, with the promise of safety, security and reliability, contact KAT Logistics LLC today for an estimate!